What happens when you combine data-driven decisions with a hard-working, caring staff in a low-income rural community? Student growth and achievement increase. 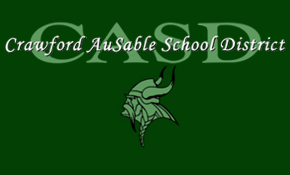 Over the last ten years, Crawford AuSable School District (CASD) has risen to the top of their ISD in math, English language arts, science, and social studies scores. Through a consistent and continual message of career and college readiness at all grade levels in the district, students graduating from Grayling High School are on their way to doing great things. Crawford AuSable School District covers 520 square miles in northern Michigan. Approximately 1,700 pre-K through 12th grade students travel to Grayling to attend either the elementary, middle, or high school buildings. 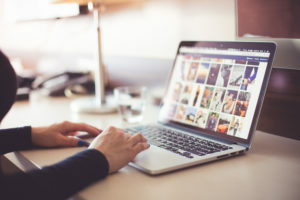 The district offers a range of educational options for students in their buildings and through their virtual school, Great Lakes Online Education. 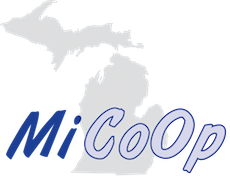 This rural district receives the lowest state foundational allowance and its ISD (C.O.O.R – Crawford, Oscoda, Ogemaw, Roscommon) has the lowest special education funding in the state. Sixty-one percent of their students receive free or reduced lunch which is not surprising when the county’s median household income is $20,000 lower than it is for the rest of Michigan. In spite of the low funding and local household income levels, CASD students are succeeding academically and achieving at levels not anticipated a decade ago. In 2005, Crawford AuSable School District ranked very low in student achievement with MEAP scores near the bottom in the state. The district was not content with their data and did not feel like the data was driving instruction. 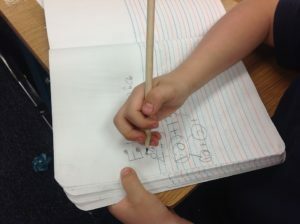 They wanted measurable student growth and, after conducting research, began using Northwest Evaluation Association (NWEA). The district now has very high test scores and is the top performer in the C.O.O.R. Intermediate School District. This change did not occur overnight, but has been, and continues to be, rooted in data-driven student achievement decisions at all levels from the Board of Education down to the individual student. It’s the backbone of their Viking Culture. Administrators, teachers, and the Board of Education received various training over the years which created this culture of student growth and achievement for the entire district. The culture includes deciding together what to teach within the Michigan curriculum standards, committing to use data to drive student achievement, implementing strategies to improve student performance, understanding poverty and how it relates to student achievement, and developing personal learning communities (PLCs) to continually analyze student progress. Joe Powers, CASD Superintendent, credits his administration team for the district’s success. “Our Executive Council [admin team] is superior, and our success is because of their leadership.” Without the team leading the initiatives and building relationships with staff and students, the district would not be where they are today. Teachers across the nation work hard but, according to administrators, the difference at CASD is it is focused work. A phrase often used in the district is ‘work smarter, not harder.’ Over the years, systems have been put into place so when students walk in the door, they know what to expect. These systems have improved student achievement which has resulted in greatly reduced improper student behavior. Within the district, consequences are not viewed as a punishment, but as a mechanism to provide the support students need to succeed. The board, teachers, and staff have a common vision of helping kids and changing lives, and they work tirelessly in that shared direction to make the vision a reality. Teachers, K-12, collaborate and work together to improve student achievement throughout the entire district, even volunteering time to work with students in other buildings. The CASD Board believes that teachers should be rewarded for working hard toward student growth and include a student achievement bonus incentive in their contract. As the district developed systems and studied research on poverty and student achievement, they were also building a community. This community encompasses the students, staff, board, and greater Grayling community. Coming from dissimilar backgrounds of middle class and poverty, the community learned to respect each other’s values and meet their needs within and outside the building walls. Students attend school events for free. The high school Student Senate runs a food pantry for their peers. The Grayling community is able to use the district facilities for free as long as students are involved. Many local businesses and individuals provide intercession fee scholarships to elementary students. The Crawford AuSable Excellence in Education Foundation (CAEEF), a 501(c)(3) non-profit separate from the school district, was formed by alumni and friends in 2015 to provide scholarships for CASD students going to college and to offer competitive grants to in-district organizations that serve its students. The benefits of investing in this community and working as a team are apparent in the student growth occurring in Crawford AuSable and the pride in the community that is growing along with it. Technology is a significant part of the Viking Culture and CASD’s success. The district distributes devices to every student K-12 (K-3 and 9-12 iPads and 4-8 Chromebooks) including students who learn 100% online and need a device. Teachers disseminate information to their students through Google classroom, Planbook, and other apps. Along with traditional types of assignments, students complete work online and take assessments using their devices. As students learn content and gain 21st century skills, teachers are using the real-time data to make daily student progress and intervention decisions. District administration uses the data to guide staffing, scheduling, and professional development decisions. Students access information from their devices not only at school but also on the bus. Due to the considerable distance students travel on the bus, Crawford AuSable added wi-fi on buses to extend the day so students could work on assignments to and from school. In addition to the time getting to school, students attending CTC (Career Tech Center) classes in Cadillac travel over an hour each way. These students take an online class and are able to work on it during the bus rides. Using data to personalize education for every student is just one reason teachers like the 1:1 technology. It also provides them a variety of tools to use to reach the diverse educational needs of their students. They can build relationships with all students, not just those who are willing to speak up in class. Teaching when unable to be in the building is also a possibility as the AP biology teacher modeled when he FaceTimed (video telephone-type call) with his students when at home with a sick child. Teachers also have the ability to pursue personal professional development, like the high school English teacher who wrote an iBook. CASD views technology as the great equalizer. To overcome distance, lack of opportunities, lack of wealth, and limits of time, CASD uses technology to extend the learning day, to provide multiple learning interventions 24/7/365, and to provide more opportunities for their students. Technology at CASD has not replaced teachers but has enhanced teaching and learning for all students. Another part of the Viking Culture is Grayling Viking University (GVU). The goal at CASD is for all students to graduate ready to enter college or begin their career right after high school. GVU begins at the elementary school where students are prepared to take on higher level challenges at the middle school. At the middle school, students have the opportunity to earn up to four high school credits, giving them flexibility in their high school years to pursue a path that fits their individual future including college credit, career technical courses, an associate’s degree, or careers. Crawford AuSable’s elementary school houses approximately 775 pre-K through 5th grade students. The school prides itself on having low-class sizes. In most cases, kindergarten classes are kept around 17 students and upper elementary grades with no more than 24. Gina Brunskill, Elementary Principal, puts the GVU message of career or college ready into her students’ heads as soon as they begin school. “It’s not if, it’s when. We let them know the expectations. Either you go to a trade school, you go into the military, or you’re going to go to college.” This year, 64 students in the preschool program heard this message for the first time. Parents, whether in one of the three co-op preschool programs or the district program, are also hearing this message in hopes that they will support and encourage their children to develop that goal. CASD Elementary School will be opening an Early Childhood Learning Center next year in the building. “This has been a dream of mine,” said Gina. “To have a separate place just for 0-4 year-olds in a location where we can provide wrap around supports and interventions easily.” A young 5’s program will also be an option for families when the center opens. A way to prepare elementary students for careers or college is to be sure they are ready to learn at the next level. CASD Elementary offers an extended learning year (ELY) as an option for families. The ELY program, which runs the beginning of August through the end of June, has 10 additional instructional days per year and four extended breaks (intercessions). ELY students can participate in the intercessions which offer enrichments that include reading, writing, math and science, cooking, and environmental science. In the most recent STEM intercession, students worked with coding and robots. Forty-percent of CASD elementary students enrolled in the ELY program in its second year, doubling its numbers from the previous year. These are impressive numbers as this is a totally voluntary program for parents to choose for their children. Over 50% of the special education students (which is almost 100% of the district’s bottom 10%) participate in one of the extended learning year’s two kindergarten, three first grade, or two second, third, fourth, and fifth grade classes. Staff volunteer to teach ELY classes. Another option for families in the district is the multi-age classes, a 1st-2nd grade class and 2nd-3rd grade class, offered in the traditional calendar year. Personalized education also extends to K-5 families who choose to enroll their child in an online program through the district’s Great Lakes Online Education program. Renee Lewicki teaches a fourth grade class in the extended learning year program. She uses data daily, especially in math, to assist students with their learning. The elementary school adopted a program called Spatial Temporal (ST) Math where students work at their own individual level. ST Math uses a game-based problem-solving process to eliminate the misconceptions of “non-math” thinker stereotypes. For the first ten minutes of class, students in K-4 use ST Math on their devices to work on math fluency (K-2 on addition/subtraction, grades 3-4 on multiplication). Students in grades 3-5 also work on ST Math for 45 minutes, two times per week (60 minutes per week for K-2). Each day, students in Renee’s class record their progress and what they learned, with an example, in their data folders (correct spelling, grammar, and punctuation required). In addition to the progress and achievement data the program provides Renee, it helps the students become better, more independent learners. All students learn that it’s okay to fail (they can fail nine times before getting to the next hurdle) and that we all learn from our mistakes. This is sometimes more difficult for students who are used to performing at the top. When students get stuck, Renee asks them, “What have you learned so far?” They can see their own progress in the program and compare that to the math goals they set for themselves. Grayling Elementary School has provided educational options for families, rigorous curriculum, and technology. As students take ownership of their learning, they become better prepared for the next step in their education. When elementary students come to the middle school with the skills and readiness to learn, they can greatly impact their future. During middle school, students can earn high school credit in algebra, language arts, science, and Spanish by taking the advanced level classes. The advanced courses in middle school use the high school curriculum and assessments. Students may also earn credit for the high school World History class if they pass the test-out exam. Taking these courses allows higher achieving students greater options in high school because it frees up their schedule for more choices such as AP, dual enrollment, early/middle college, and career tech classes. It also saves money for students wanting to attend college, a big motivator for students living in poverty. The Viking Culture of career and college readiness is well ingrained with students by the time they are in middle school. When Jeff Branch, Middle School Principal, asked the Algebra AB (high school course being taught at the middle school) students if anyone had heard of the AP courses offered at the high school, every student raised their hand. Renea Derenzy, Middle School Algebra AB Teacher, uses the College Preparatory Math (CPM) series, also used in grades 6-12. CPM is a scripted program where students are assigned groups and perform roles such as facilitator, recorder/reporter, task manager, and resources manager. Students at CASD like working in these groups because they can explain the material to each other in a way that they understand. While students can access the curriculum through a textbook or online, most use their devices. Renea, who has been teaching in the district for 21 years, uses Planbook to post the class schedule, learning targets/objectives, and lessons online for students to access. Most teachers in the district use Planbook as well. Students not enrolled in the advanced classes, who may need additional assistance in their learning, do not get lost at the middle school. These students are supported through reading labs, math support, and other courses that push them at their level. Individual student growth is the focus at CASD, no matter where they are on the learning spectrum. The continued options and rigor available at the middle school prepare all students for the opportunities available for them at the high school. Committing to graduate at Grayling High School begins when a freshman walks in the door. Each year the freshman class is donned in a cap and gown, photographed, and displayed on a banner that hangs in the hallway. For the next four years, every time a student walks past that banner, they are reminded of the goal they set. As graduation nears, the graduating seniors walk the halls of the elementary school in their caps and gowns to continue to cultivate the vision. The goal to graduate is just the beginning though. In addition to graduating, every student at CASD must have a plan for after graduation so they have a goal to work toward during their high school career. If the plan includes college, CASD offers articulated credit, dual enrollment, early/middle college, and AP courses. Students planning to attend Baker College can take certain courses at the high school that will transfer (articulate) to their Baker transcript when they enroll. The Wexford-Missaukee Early College program is offered through the Wexford-Missaukee ISD Career Tech Center (CTC). CASD students have the opportunity to earn up to an associate’s degree while in high school through Baker College in business management administration; computers, networking, and electronics technology; hospitality, retailing, and entrepreneurship; metal fabrication and welding; public safety; or robotics/mechatronics. Students attend the CTC and Baker College during their junior, senior, and 13th year. Additional early/middle college programs through Kirtland Community College are also available in public safety, welding, and automotive. The high school offers 12 Advanced Placement courses for college-bound students, more than most schools their size. AP courses offered include AP Biology, AP Calculus AB, AP Calculus BC, AP Chemistry, AP Computer Science A, AP European History, AP Language and Composition, AP Literature and Composition, AP Psychology, AP Spanish, AP Statistics, and AP U.S. History. Crawford AuSable has been on the College Board’s AP® District Honor Roll for three of the seven years it’s been in existence and is one of only a handful of Michigan high schools to be on the honor roll at least twice. To be on the honor roll, CASD increased the number of students taking AP courses while also increasing or maintaining the percentage of students earning a 3 (out of 5) or higher on the AP Exams. If a student’s future plan includes going straight into the workforce upon graduation, in addition to the early/middle college programs, CASD offers construction trades/wood tech. Each year the students build a large shed that is constructed just like a house. From framing to roofing to siding, students learn the skills necessary to work on a job site. The high school also purchased a CNC router and is developing curriculum for next year. Students interested in technology have the option to take a robotics class. After an after-school robotics program made it to state competition last year (first year for the program), Crawford decided to offer the program as a credited class. In addition to the graduation banner, visually reminding students what they can accomplish is apparent at the high school. Upon entry, the CASD Alumni Hall of Fame is on the right, honoring Crawford AuSable alumni who have successful careers due to their academic achievements. 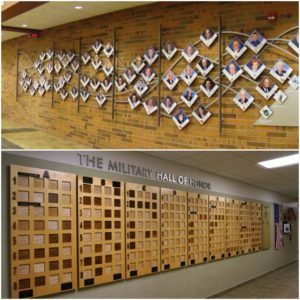 The building also houses a Military Hall of Fame, where anyone who graduated from Grayling/Frederic/Crawford AuSable and has served in the military is listed in a directory and on the wall. (Grayling is home to the largest National Guard training facility.) Also, a chart listing state assessment data for each C.O.O.R. ISD district is in a case for students to view. Students take pride in seeing the district outshine other districts in certain subjects and know where they need to improve. After Joe Powers brought Northwest Evaluation Association (NWEA) to CASD, the district became a data-driven school. The culture is immersed in using data analysis to assist students with their learning. NWEA’s Measures of Academic Progress are used for assessments two to three times per year in K-8 and district developed or other program assessments are used in the interim. A benefit of being data-driven is that it keeps educators focused on maximizing each individual student’s learning. No longer is the goal to get every child to 85%, but to help all kids reach their highest potential. Another benefit is that CASD’s standardized assessment results have risen greatly due to focusing on data for every student. Being data-driven keeps educators focused on maximizing each individual student’s learning to reach their highest potential. For GVU to be successful, the district continually uses data to guide decisions, both for the students and the district. They use Illuminate, a data warehouse, to upload student scores on various assessments as well as student at-risk factors. 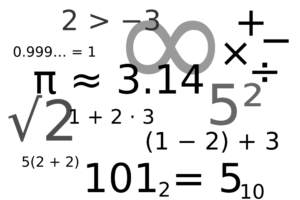 Tests are also developed in Illuminate where the resulting data is housed. Teachers review data during their PLC meetings and at the end of each trimester. Special education staff and Title I staff refer to the data more often as they assist students with interventions. While teachers and administrators can pull reports and information from Illuminate, Cyndi Powers, 7th grade Language Arts Teacher and district data guru, maintains the data in Illuminate. 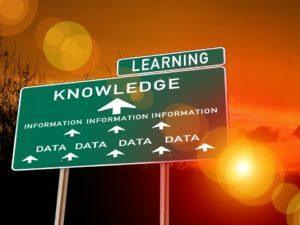 Professional development on a data-driven model is continually provided to staff, and students are also shown how to understand what their scores mean so they can take ownership of their learning. The elementary school enters data into Illuminate from DIBELS, NWEA, M-STEP, and DRA assessments as well as other grade/classroom level assessments such as spelling inventory, fluency, sight words, and literary components. Data collected at the middle and high schools varies by content area, but includes end-of-trimester exams, pre-post test scores, writing scores, subject-level common assessments, M-STEP, and ACT/SAT scores. Just entering and uploading data will not help students be successful. How the district uses the data is making the impact on student achievement. When elementary staff meet to look at student data, they compare their data to nationally-normed scores. NWEA’s nationally-normed scores show that students are career and college ready if they are in the 70-89% range. Students at 50-69% are considered at grade level and those below 50% need to receive interventions to move forward. As noted by Noah Whittaker, elementary tech/data guru, “In the last three years, there have been leaps and bounds with the way we use data to individualize student learning.” Elementary staff uses the data from Illuminate three times per year in data meetings as they review every student and their progress. Mini-data meetings also occur every two to three weeks to follow up on K-1 students who are receiving interventions. To assist with interventions, the elementary school has created something Gina Brunskill likes to refer to as the “building machine” or officially known as HELPS & SProUTS. Through this system, teams regularly collaborate to problem-solve around students with learning and/or behavioral difficulties. Teams include parents, teachers, administrators, para pros, and professional staff. HELPS & SProUTS also fulfills the Child Find requirement in the Individuals with Disabilities Education Act (IDEA). The student data collected is used at HELPS & SProUTS meetings as the team assists the teacher in analyzing the data and preparing an intervention plan. As in most districts, the majority of students respond to classroom interventions, while 15% may require secondary interventions, and 5% may need intensive interventions. The HELPS & SProUTS system addresses these secondary and intensive interventions as a team to improve student behavior and achievement. As mentioned in the Career and College Ready section, the elementary school is using data to help students succeed in math with the ST Math program. The objectives in the program align with the Common Core but are structured for each individual student depending on what they need to work on and when. Pre-tests evaluate where the student needs assistance and post-tests show the learning/growth that occurred. After two years of using the program, Renee has seen great growth in her students. Joni Metiva, Middle School Counselor, analyzes the Illuminate data with Cyndi Powers to create the middle school schedule. Developing the schedule begins with upper-level math and language arts courses. Joni uses Skyward, the district’s SIS, to place students into courses and then adjusts with teacher input. Due to the size of the district, students/families must sometimes make choices because not all courses can be offered every hour. Students do have the option to take online classes as well. The middle school also uses their data to move students to different ability levels/groups throughout the year. All subjects cover the core standards, but the depth of the content, pacing, and rigor vary by ability group. While many students stay in the same math, science, or language arts class the entire year, students who are struggling or excelling at a particular level can be moved to a different ability group. The staff relies on data to offer this flexibility rather than moving or grouping students based on behaviors or their ability to “do school.” From the data, the middle school has been able to schedule some 6th graders into 7th grade math and even an 8th grader into high school geometry (a 10th grade class). The flexibility is not just for the higher achieving students. Students who need additional education services or extra support are able to receive reading lab, math support, or other courses in their schedule. Another way the middle school uses the data is to train students to take ownership of their learning. Like with ST Math at the elementary school, middle school teachers assist the students in developing individual growth goals from the NWEA data in language arts and math. A contract is created that includes strategies for reaching those goals and teachers follow-up with students throughout the year on their progress. Middle school teachers’ evaluations, like other teachers in the district, are tied to the growth model. Specifically, at the middle school, every teacher is evaluated by their students’ NWEA Reading scores, whether or not they teach language arts. As teachers complete their evaluations, they reflect on the percentage of students that met their RIT (NWEA’s measurement) goals and why they did or did not. Every Wednesday at the high school, the multi-tier system of supports (MTSS) team meets to discuss every at-risk student. Professional learning communities (PLCs) bring names of two students each week for the group to focus on. Data is reviewed, interventions and progress are discussed, and a plan is put into place or restructured to best meet the needs of the at-risk students. Data is also used during the weekly PLC meetings which are held during teachers’ 70-minute prep time. The high school principal, Donna Boughner, uses the data to prepare for the professional development PLCs which occur the first two Thursdays of every month. Various strategies and intervention models are presented and discussed to provide teachers tools in assisting students. On the third Thursday, like-subjects meet to work on the school strategic plan, using data when appropriate. A third way the high school teachers use student data is in preparing for Academic Centers which occur twice per month. Based on the data, teachers request to work with certain students one-on-one during the 30-minute sessions. The Student Voice and Leadership Committee (SVLC) and other clubs also use this time to meet. Students not meeting with a teacher or a club are expected to work on assignments, projects, etc. In addition to working with students one-on-one during Academic Centers, teachers also have the opportunity to work with small groups of students once a month during Intervention (IV) Day. IV Day is part of the Grayling Viking Renaissance (GVR) program (see below). On IV Days, students who are below a C in a class are assigned to teachers who work with them in areas where they are struggling. This in-school intervention works for the community because many students cannot come before or stay after school due to poverty and/or the distance they come to school. Data in itself is useless. As noted above, Crawford AuSable staff uses data on a regular basis to make a difference in educating the students in their district. The success of their students is credited to more than just their use of data. CASD is intentional in building relationships and providing options for students. Discipline is just one of the many roles/responsibilities Tim Sanchez, Assistant High School Principal, has in the district. “In terms of discipline, I would say it’s a high priority of mine to meet with students, develop relationships, and help them learn from their actions, rather than just issue consequences.” These relationships he builds have resulted in a drastic decrease in the typical behavioral problems that usually clog up many assistant principals’ offices. One way Tim develops relationships with students at the high school is through the Grayling Viking Renaissance (GVR) Program, a program that rewards students for their achievements, attitude, and attendance. Over the last four years, an average of 70% of the student body qualified for one of the four levels of GVR. Each new trimester students have a new opportunity to improve their attendance, write-ups/detentions, or grades to get into GVR. What are the rewards for being in GVR? The benefits vary based on level, but all include GVR rallies and a t-shirt, athletic pass, fine arts pass, chance at the Prize Closet, and snack days. Upper GVR levels can use their card as a hall pass or get front-of-the-line status. “We like to change it up so nothing is routine,” said Tim. There have been additional Prize Closet drawings, special Friday lunch tables, or unique prize drawings like Beats headphones. “We’re always keeping the program and their goals in front of them.” The one-hour GVR rallies are held monthly on Intervention Days. Students in the GVR Program attend activities in the gym, cafeteria, auditorium, etc. The Student Voice and Leadership Team help in planning the rallies. The Student Senate class runs a food pantry. Currently, the pantry offers just food but will be adding clothing soon. Students in need complete an online form that is submitted to the school counselor. Each Friday, Student Senate students fill the orders received. 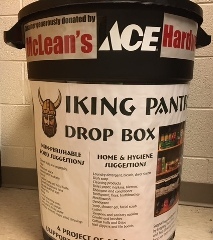 To fill the pantry, students have food drive competitions, place bins around town, and fundraise. They will soon be getting a freezer, refrigerator, washer, and dryer to be able to offer more options to students in need. Students take pride in being a Grayling Viking and rightly so. Individual buildings and the district as a whole have received numerous awards over the past 10 years. Seth, high school Student Senate President, shared that while the district is working hard to provide a quality education, they have not lost sight of the importance of sports and the arts to students. For example, band begins in 5th grade with all students participating. The elementary school received three sets of robots this year, the Dash and Dot, Ollie and Sphero. The younger grades interact with Dash and Dot as they are more preprogrammed, while the upper elementary grades begin to learn to program with Ollie and Sphero. Teachers have started using them in their classrooms and Noah Whittaker, Elementary Gifted and Talented Program Coordinator, is developing a 10-week, three-challenge program for 3rd-5th graders. “Kids will spend hours programming a robot even when they don’t like school,” said Noah as he explained the challenge problems students will need to solve. Up to 45 students participate in the Gifted and Talented Program. Students who are looking for flexibility in their learning or who are not successful in the more traditional programs are not forgotten by CASD. The district’s Great Lakes Online Education program is available for K-12 students who want options in their education. Most students in the GLOE program are 100% online students with some who are blended, taking both online and in-building courses. GLOE’s main campus drop-in center is in a wing of the high school that has a separate security entrance for students/parents. Students are required to work 10 hours per week at the drop-in center where teachers are available, but varies with the progress and success of each student. The program staffs two full-time and nine adjunct teachers. Each student is assigned a mentor who monitors the student’s progress throughout the entire year. When taking assessments, students meet the mentor at a convenient location or the mentor proctors the assessment online. GLOE is semester based, but students do move between the traditional school programs and GLOE. Five cap-and-gowned students participated in GLOE’s graduation ceremony in 2016. Families express their appreciation for this option and are thankful that someone is willing to oversee their child’s non-traditional education. CASD partners with other schools in northern Michigan to provide an education for the students they cannot serve such as those expelled, suspended, or in ill-health. While students from the remote locations complete their work online, they are required to meet with John Gantner, GLOE Director, 3-4 hours each week. He travels to each community to meet with students at specified locations, usually a public library. Crawford AuSable also partners with the probate court program to teach their middle and high school students in a blended environment. Bringing a school district from the bottom of the achievement scale to the top of their ISD and beyond is no small feat, but Crawford AuSable School District took on the challenge. Using technology to collect and analyze student data to determine progress, then developing systems to support students as they grew academically, brought much success to the district and their students. A culture including career and college readiness and providing options to students for their learning has changed the futures of many who currently live in poverty. By consistently promoting student ownership of learning and high expectations for all K-12 students, Grayling will continue to grow to greatness.